← Session 1: On the road(map) to success! 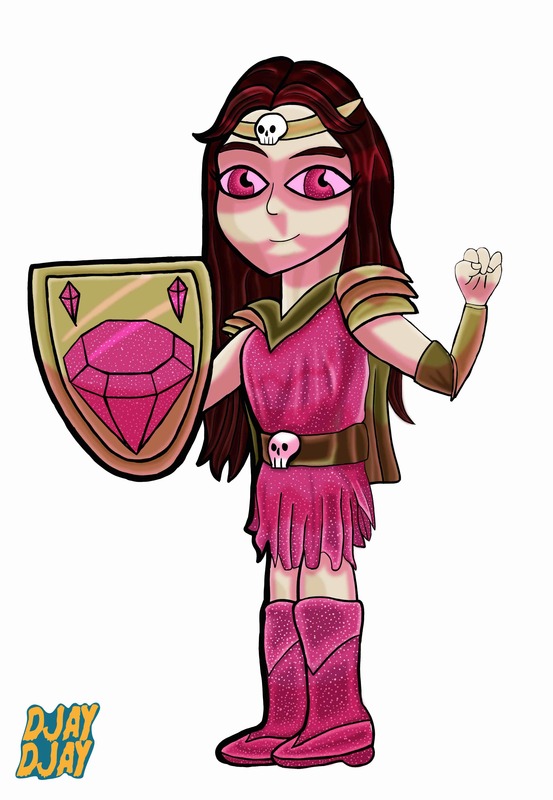 DjayDjay writes about her design: “This Xena-esque figure was created to be a potential aspirational figure to girls and young women, influencing them to be confident, strong and wear pink glitter!” We think it looks amazing and can’t wait for the new mascot to adorn our go_girl hoodies and t-shirts. Thank you DjayDjay!